A chocolate Labrador named CJ sniffs the ground at the Nature Conservancy’s Apalachicola Bluffs and Ravines Preserve. Though he seems excited, tail wagging in the air, he’s not looking for treats. CJ is sniffing for snakes. In particular, he’s trying to detect signs that a threatened Eastern Indigo Snake has been in the area. 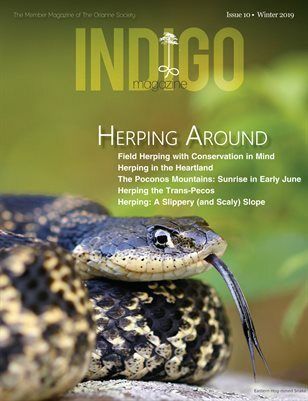 “Wildlife detector dogs, as they are called, are kind of in vogue as a field survey method for rare and/or secretive animals,” said Dirk Stevenson, Director of Inventory and Monitoring with The Orianne Society, a group out of Clayton, Ga., dedicated to the conservation of reptiles and amphibians with a focus on Indigo Snakes. Land Purchased by the OCIC!